Lilly Singh aka iSuperwomen and Diljit Dosanjh meet up will surely crack you up and make all punjabis say ‘relatable’ ! Superwoman aka Lilly Singh has made her mark as a comic star via YouTube, and unless you’ve been living under a rock, you’d also know that the supremely talented girl has also been given her own late night show – making her the first woman of color to get that spot. 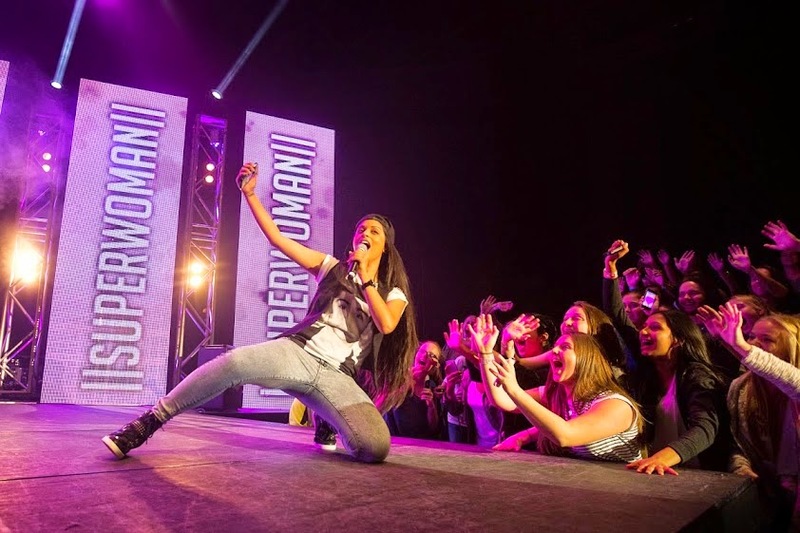 Recently, Lilly was in India for the YouTube FanFest, where she performed and drove the audience insane. As we can tell, her trip to her country of origin was a power packed one, full of super fun shenanigans that involved dancing with Ranveer Singh on top of a table, crazy interviews with famed B-Town journalists AND of course, a meeting with one of Lilly’s favorite people – Diljit Dosanjh! Lilly loves Punjabi singer and actor Diljit, just as much as we do. In fact, she even stated in a recent interview, that every time she’s in India, she makes it a point to take some time out to chill with the guy, who she finds “extremely funny,” “humble” and “sweet.” So, when she had the chance during this visit, not only did she hang out with him, the two of them got together and shot a funny video that every Punjabi will surely relate to! In the video, Lilly is seen shaking hands with and greeting a number of white people that are lined up, and one brown person, that happens to be Diljit. The clip hilariously shows how every interaction with each foreigner is brief and to-the-point, whereas, when she comes to Diljit, and realizes he’s someone she recognizes, a volley of questions follows. You know how we do, right? We can never stop at “How are you?” and “I’m fine” – There’s always more, intense catching up that needs to be done, including health checks, career checks, asking how each and every family member is doing, and so on! Diljit took to Instagram to share the video with the world, captioning it – “Toronto Di Lilly, Te DosanjhanWala – When Two Punjabis meet” To which Lily took the joke further in the comment section, writing, “CHA? Paani? Dusssoooo much…” Lilly too, posted the video, captioning it – “When you meet someone from the motherland this is DEF how Punjabis greet each other, complete with a 5-minute long hand-holding session and family tree check-in. To be honest, @diljitdosanjh and I aren’t even acting… someone was just rolling when we met up.”As is visible, the two artists share a fabulous camaraderie, and had a blast collaborating on a comical video – a category they both enjoy and are equally good at! We think the video will resonate with millions of Punjabis world over and lapped up by the rest!